​Police brutality, mass incarceration and generational poverty are directly connected to decades of racial marijuana law enforcement. Black and Brown communities continue to be plagued by Drug War destruction and trauma as policymakers create a path for mostly wealthy and white investors to dominate a multi-billion legal marijuana industry. MARIJUANA & EQUITY: A Summit for Organizers and Advocates, will address economic development, health, decriminalization and records expungement. 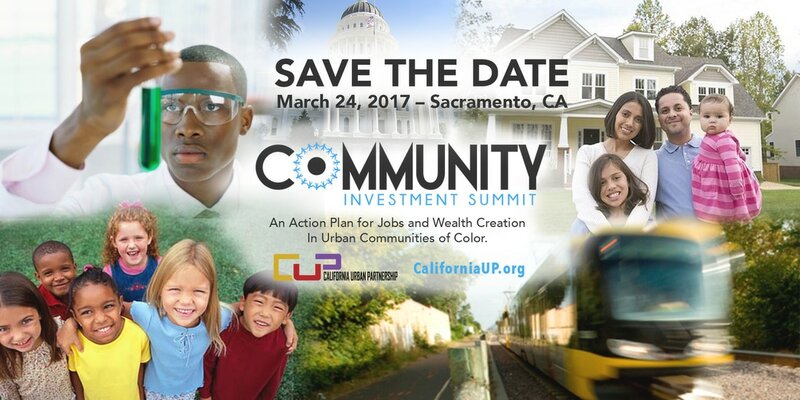 The convening will also explore the latest developments in California’s Community Reinvestment grants program, and what’s happening with marijuana taxes being collected by local governments. We expect to have some of the leading legislators and policymakers present to give us the latest on the fast-evolving cannabis industry and policy issues. Co-sponsored by the Hood Incubator, California Urban Partnership, Public Health Advocates and Youth Forward, the goal of the Summit is to educate attendees, and bring them together in the fight to advance racial and health equity in marijuana policy and industry practices. ​THE RUMORS ARE NOT TRUE! IT'S NOT TOO LATE FOR BLACK PEOPLE, AND OTHER PEOPLE OF COLOR, TO GET INTO SACRAMENTO'S $4 BILLION ANNUAL WEED INDUSTRY!!! Read more about the UPCOMING CONFERENCE CALL and a VERY IMPORTANT SURVEY below ……. The crisis of income inequality, gentrification and racial injustice demands urgent action to strengthen programs, businesses and policies that will build economic security in low income neighborhoods and communities of color. For numerous reasons, African American and Latino stakeholders must be empowered to access, lead and own the processes related to delivering the long-term solutions they need.